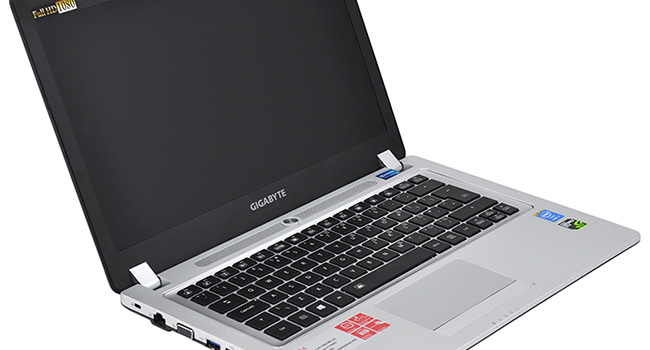 Gigabyte may be best known for its graphics cards and motherboards, but the Taiwanese manufacturer's laptop division has been on a roll of late. 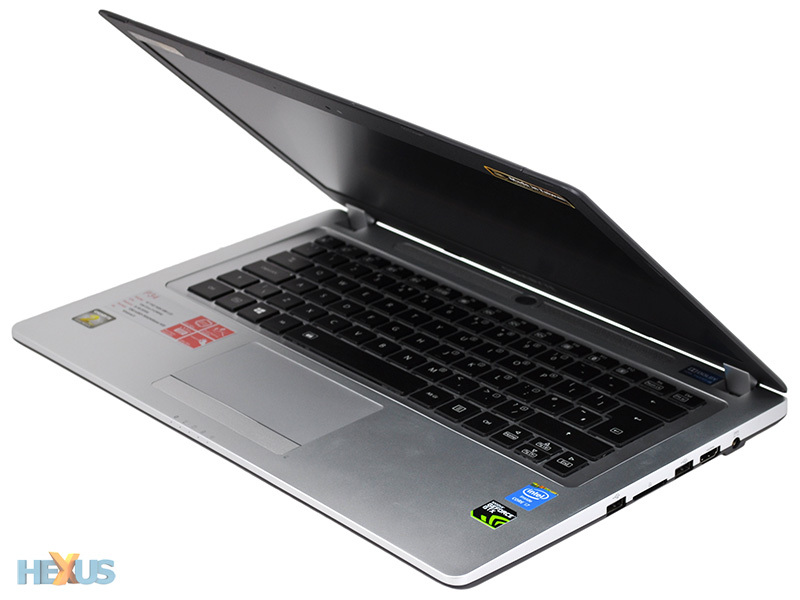 Just last month, we were generally impressed with the P25W - a 15.6in gaming laptop that exhibited a quad-core Intel processor, dedicated Nvidia graphics, a good backlit keyboard and an enjoyable 1080p display. There was plenty to like, but there was also a bright-yellow top that was in our estimation too ostentatious for mainstream users. We were silently hoping that Gigabyte would follow-up with a similarly powerful alternative that's thinner, lighter, and far easier on the eye. Enter the 14in P34G, priced at £1,160. Now we're talking. 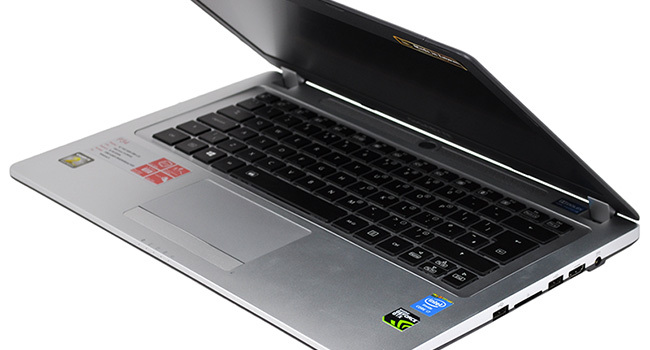 The P34G is categorised as a gaming laptop, but you wouldn't know it based on appearances alone. There are no bright colours and no sports-car air vents - no sir, what you have here is a laptop that looks and feels modern. At just 21mm thick, this is one of the most svelte 14in gaming laptops on the market today, and a weight of 1.76kg makes it reasonably portable. It's clear that Gigabyte wants to make an impression in the burgeoning thin-and-light gaming category, and the P34G certainly catches the eye. 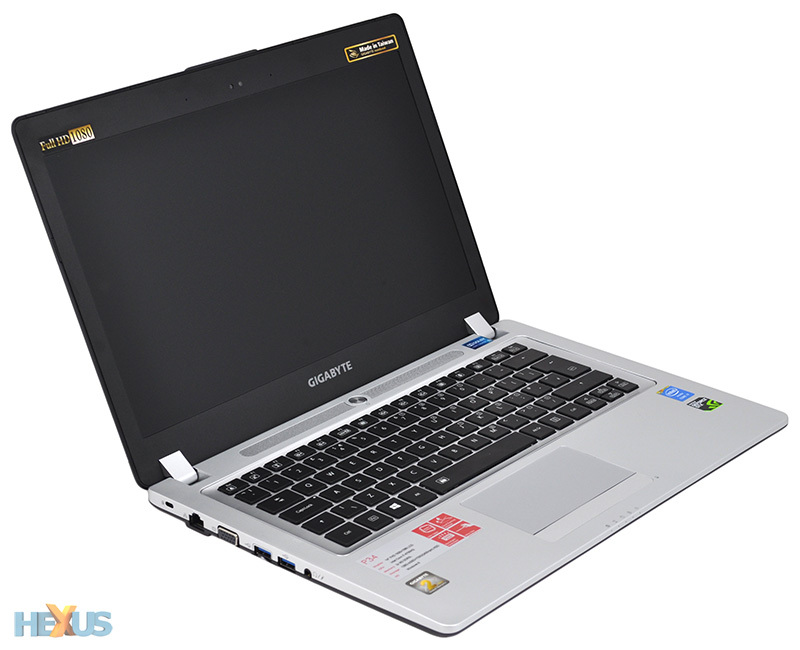 It's immediately obvious that design and build quality are a cut above alternatives based around the MSI 1492 or Clevo W230ST, and Gigabyte's closest competitor is the 14in Razer Blade. It's about as pretty as gaming laptops go. Yet £1,160 is a hefty price to pay, particularly now that tablets have everybody's attention. For that amount of money, Joe Average could walk into the supermarket and buy tablets for all the family, do their weekly shop and still have hundreds to spare. 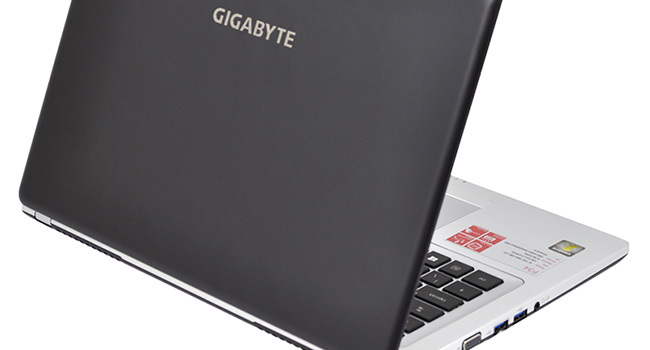 This is a laptop aimed at the more discerning gamer, so it's a good job Gigabyte's build quality is up to scratch. In contrast to all the plastic alternatives on the market, the P34G sports an aluminium lid and palm rest, giving the body a robust and rigid feel. Granted, it isn't the strongest aluminium we've ever seen, and the laptop's underside is still plastic, but the overall effect is good - we're not quite talking MacBook craftsmanship, but this does feel like a quality product. Gigabyte's colour scheme is attractive, too. The dark-grey lid strikes different notes in various lighting conditions and contrasts nicely with the light-grey interior. The lid has a matte finish which feels nice to the touch, but do be warned; it seems eager to collect fingerprints. 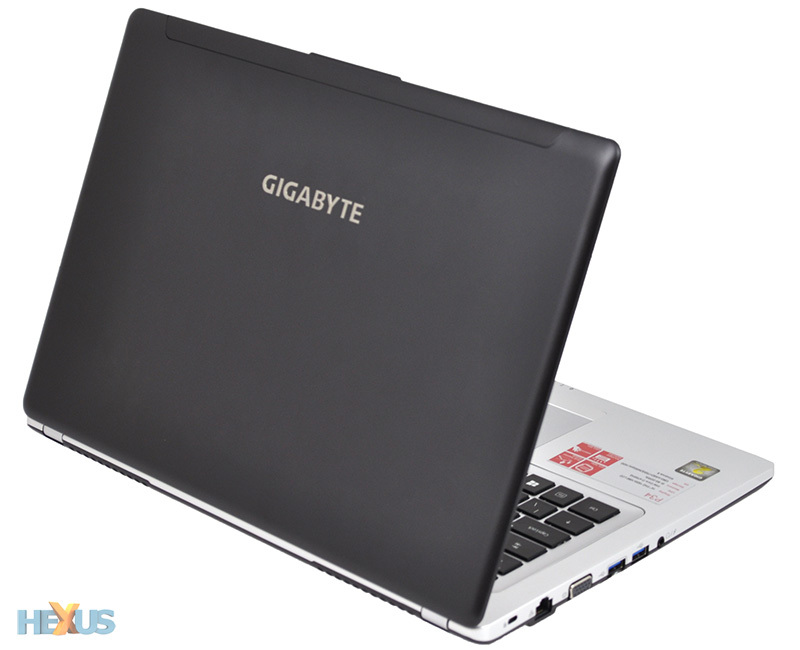 14in is our laptop size of choice, and by keeping a pair of air vents tucked around back, Gigabyte has given itself plenty of room around the sides for an array of ports. On the left you have Kensington lock, Gigabit Ethernet, VGA out, two SuperSpeed USB 3.0 ports and a headset/microphone jack. On the right, there's a connector for the power adaptor, HDMI out and an SD card reader sandwiched between a pair of USB 2.0 ports. We'd like to have seen something more forward-looking than VGA - ThunderBolt, perhaps - but on the whole the P34G's port selection is sufficient. Gigabyte's design has the ability to draw you in, however it's unfortunate the chassis is littered with unnecessary stickers. 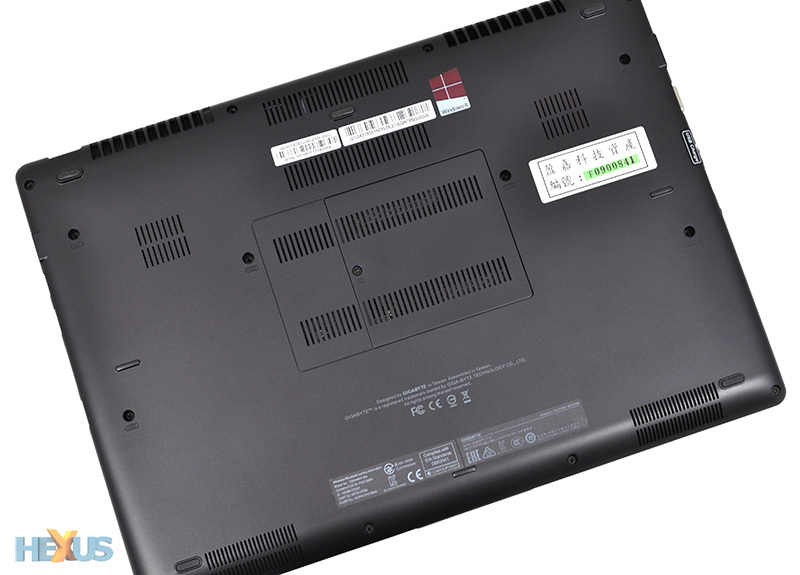 This continues to be a bugbear for many PCs, but on a £1,000+ laptop in particular, we could do without 'Made In Taiwan' and '2 Year Warranty' stickers. A shame really, as the P34G's specification ought to speak for itself.